Solar/Białas - one of the most respected groups on hip hop underground scene. Under Prosto Label since autumn 2012. 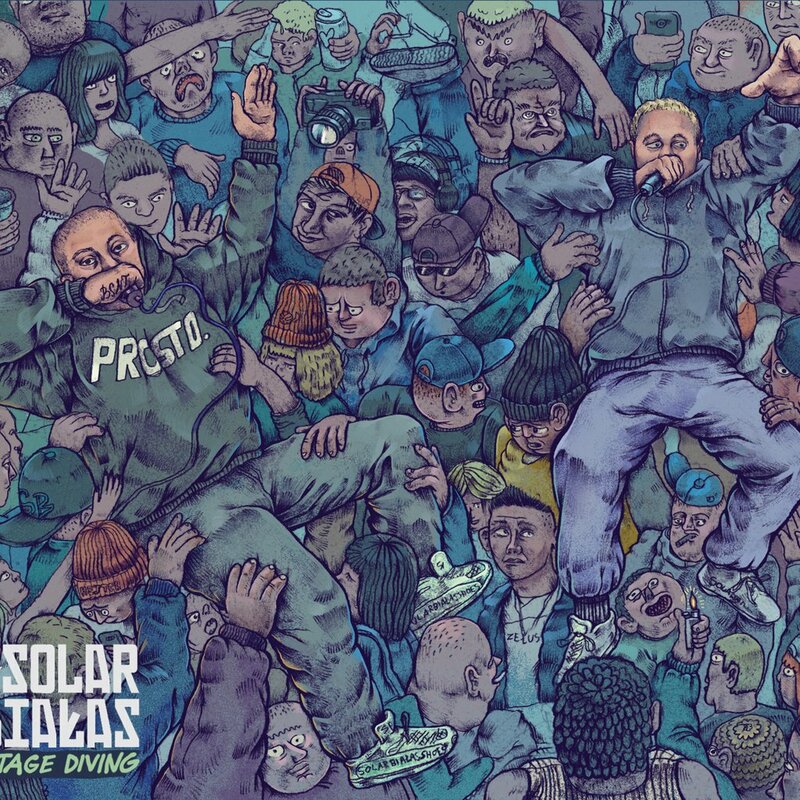 „Stage Diving” is their official debut album. Earlier they recorded the „Z ostatniej ławki” underground album, also realized many singles and some mix tapes, such as the latest - „ToNiePolskeYess”. „Stage diving” features 17 new tracks produced by: Zbylu, BobAir, Kazzam, L PRO, Lanek, Juicy, 101 Decybeli, $wir and Lenzy. With guest appearances: Zeus, Tomb, Danny and Hary. The album cover was designed by an acclaimed Polish draftsman of younger generation: Alek "Lis Kula" Morawski. 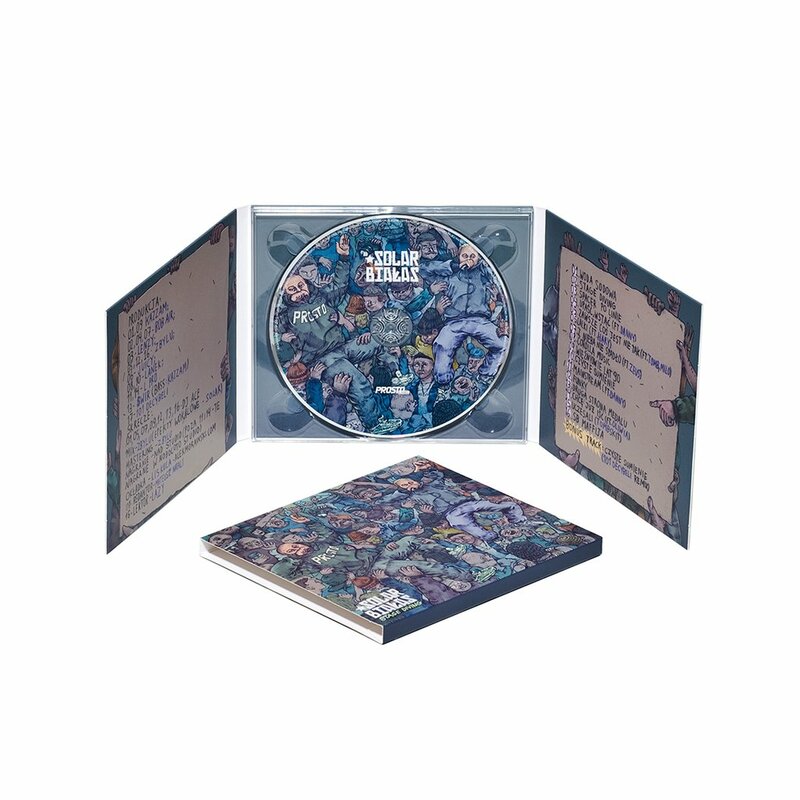 Packaging type: digipack. Basically, we wrote most tracks already in 2013, but we wanted to be well prepared. The main goal was to change the climate, to break with our previous album, to create something new. It wouldn't have been possible without hard work on mastering our skills: the latest mix tape „ToNiePolskeYess”, rounds and lots of casual, official or unofficial, tracks served us as the training ground. We experimented with effects, practised acceleration, developed the flow, laboriously collected beats. All the new ideas popping up on the way were being saved for this album. We instilled all our creativity and abilities into this album. We tried our best and we are very satisfied with the final result.